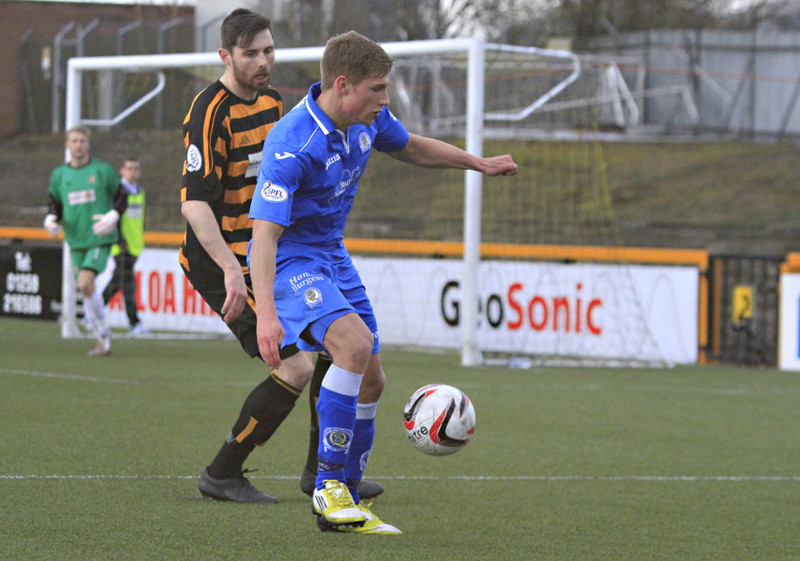 Andy Dowie was the Queens hero as his goal helped the Doonhamers defeat Alloa 1-0 on Saturday. The centre-back`s first half header cements Queens in the fourth place in the Championship and in the vital final play-off spot. Alloa have failed to win at home since the 14th of December last year and the Wasps have only scored one goal at home in 2014 - giving Queens a slight advantage on paper. However, Saturday`s game was played at Recreation Park, not on paper, and the Doonhamers travelled to Alloa on a mission. A frantic first five minutes ensued as Queens came out flying, firstly through Chris Higgins who rattled a shot from just outside the box but Alloa `keeper Scott Bain managed to push the ball round the post for a corner. 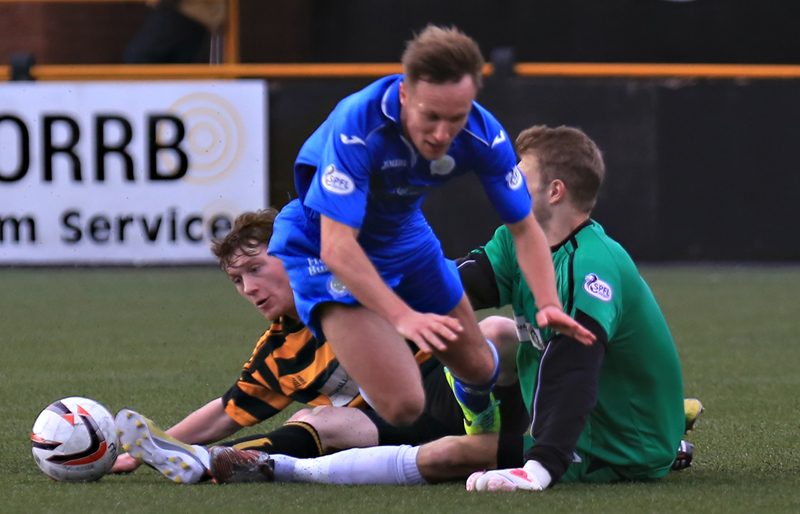 Bain had his team-mate Kevin Cawley to thank from the resulting corner as Andy Dowie almost headed the Doonhamers in front but the Wasps midfielder managed to clear the ball away. The wave of pressure from the visitors was not over yet and just before five minutes, Mark Durnan played through Bob McHugh and the striker sent the ball agonisingly wide from a tight angle and Queens were unlucky not to have an early lead. But on 17 minutes McIntyre`s men leaped in to the lead through an Andy Dowie header. Gavin Reilly was brought down on the edge of the pitch and Chris Mitchell guided the ball on to the unmarked Dowie`s head and the centre back made no mistake in finding the bottom corner. Alloa tried to fight their way back with Ryan McCord and Stephen Simmons taking pot-shots from twenty yards out but the home side were rattled after Queens early pressure. The first save Zander Clark had to make came just before the 40 minute mark as McCord drilled the ball first time from a clever Alloa free-kick but the Queens stopper managed to push the ball out and away from trouble. Referee Andrew Dallas blew for half time and the visitors went in at half time 1-0 up after a positive first 45 minutes. The first five minutes failed to create a similar spark as the opening period of the game but McIntyre`s men were still looking lively with Russell, Reilly and McHugh all creating problems for Barry Smith`s team. But the majority of the game was being played in the middle of the park as both teams looked like they were lacking in creativity - and the blustery conditions at Recreation Park did not help matters. Half chances fell to Russell and Mitchell although neither effort troubled Bain in the Alloa goal and at the other end Zander Clark failed to see any action as well, demonstrating the excitement at the start of the second half. With 25 minutes to go Russell appeared to be brought down in the box by the Wasps `keeper but Andrew Dallas waved away the claims made by the players and the travelling support. Alloa brought on Edward Ferns who started to cause the Queens back four some problems, as he teed up Kirk who mishit his shot from six yards out. Moments later, Durnan headed the ball off the line and Queens started to look at risk for the first time in the match. 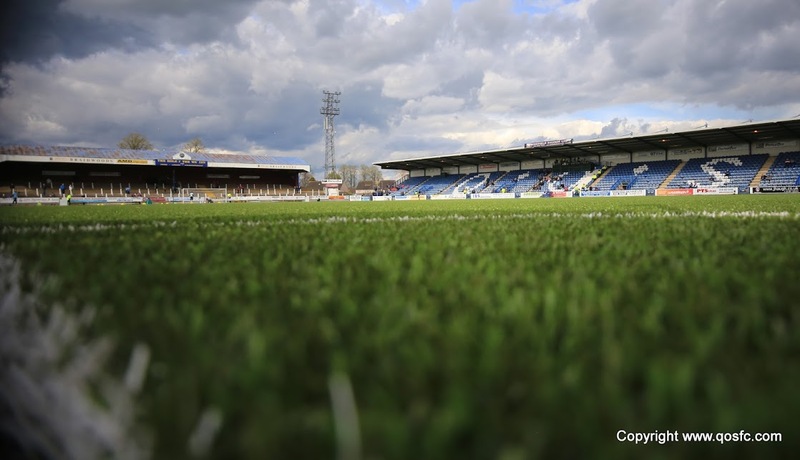 The Doonhamers managed to quell the pressure from Alloa in the closing stages of the match and they added on to the Wasps` dismal run of over three months without a home win. More importantly for Queens, they still remain three points clear in the play-off battle ahead of Dumbarton with eight games to go. 15:00 The teams are out on the park and we await Referee Andrew Dallas` whistle. 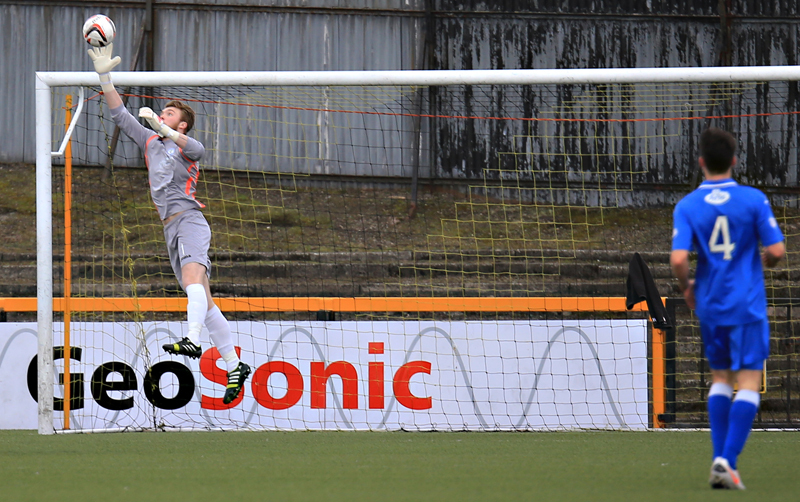 2 min Higgins forces Alloa `keeper Scott Bain in to a great save. 5 min Chris Higgins, Andy Dowie and Bob McHugh all come close for Queens in the opening five minutes. Great start by the Doonhamers. 18 min Andy Dowie heads in a Chris Mitchell free-kick from six yards out and Queens take a deserved lead. 40 min Great save by Zander Clark denies Alloa the equaliser. Half Time Queens go in a goal to the good thanks to Andy Dowie`s header - remember to follow the live update service for all the second half action. Half Time The teams are back out on the pitch for the second half. 56 min Today`s Attendance is 644. 69 min McShane is booked by Referee Andrew Dallas for a poor tackle in the middle of the park. 75 min Alloa creating chances now with Kirk missing a great opportunity and Durnan clearing off the line. 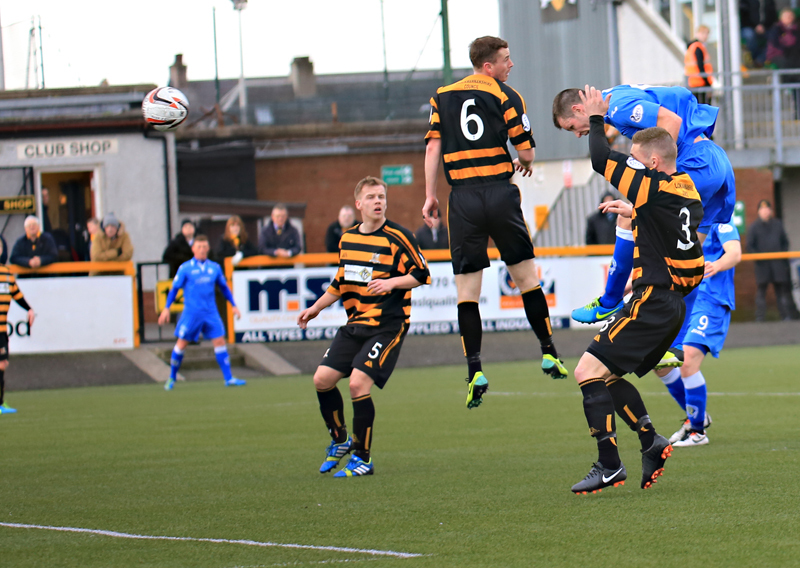 82 min In to the last ten minutes here in Alloa, Queens still looking for a second goal. 16:49 Queens remain in the play-offs thanks to an Andy Dowie goal, keep an eye on the website for all the action and reaction.